We’ve been kind of busy over here. In 2015, the Beyond Bylines team coverage has run the gamut, from every corner of writing, publishing and blogging to social and digital media. 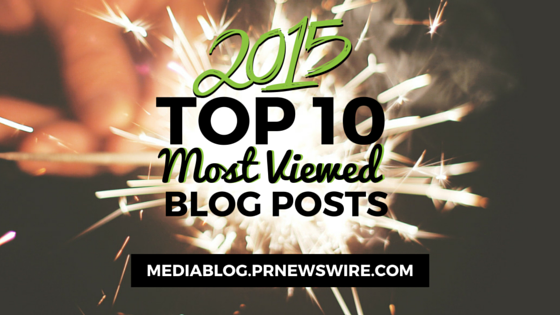 So in the interest of holiday wrap-ups, we’re sharing the most viewed posts from this year. The top post goes to 5 Must-Try Apps for Newsgathering & Publishing. In this post, team member Amanda Hicken quotes Poynter’s Ren LaForme, who breaks down the need to add apps to your newsgathering toolbox. Your phone or tablets put “a supercomputer, HD video/many-megapixel camera and Internet machine in your pocket,” LaForme says. Not surprisingly, the remaining most viewed posts from the year center around content creation and digital best practices. 14 Design Tools We Love for Blogging (February). You can only go so far with fussing over the right words for a post. Its visuals are equally as important, as articles with images get 94 percent more total views. This post goes over some of our favorite design tools that we use right here in this space. 10 Mistakes New Bloggers Make (April). It’s easy to get caught up in the newness of your site, if you’re new to blogging. From writing posts that are hard to understand to focusing too much on quantity over quality writing, here are some solid don’ts to keep in mind. 10 Instagram Tips for Bloggers (May). Instagram can be a blog’s best friend, greatly enhancing networking and traffic. At the very least, you should link your Instagram back to your blog and pay attention to how your overall Instagram page looks. In other words, instead of looking at your Instagram a collage of separate posts, look at the overall composition of the account. Do your photos stylistically match? How to Interview and Capture Details in the Digital Age (July). The Poynter Institute hosted a seminar, featuring Justin George, of the Baltimore Sun, who shared interview skills he’s gained as a crime reporter. George explained how social media can act as a modern-day notepad to report stories more deeply. Periscope 101: How to Broadcast Street Journalism From Your Phone (August). Periscope is a game-changing mobile, live-streaming app that’s really changed how real-time information is broadcast from the ground. Anyone with a phone can do it. This post breaks down how to get started and begin broadcasting. 7 Tips for Embracing Creativity’s Ugly Side (February). The first stage of any concept is rarely pretty, writes blogger Catherine Spicer. Staring at a blank canvas is daunting and the first attempts to clarify the scope of the project and how you’ll get there aren’t always clear. 7 Tips for Creating Viral Content (April). Who doesn’t secretly hope their content will go viral? This post goes over everything, from using catchy headlines and reinforcing the importance of visuals to emphasizing that positive emotions translate directly into more social shares. Twitter Parties 101 (January). Don’t let the word “party” fool you; there are a lot of complex steps to planning and hosting a Twitter party, which specifically is when a brand dedicates an hour or so to interactive Twitter discussion about their product. Beauty and style freelance writer Aly Walansky demystifies this beast in a Q&A with ProfNet. Thank you to all of our readers who made this list possible. We look forward to typing to you in 2016. Want to get started on PR Newswire for Journalists? It takes only a couple moments to register for our media services at prnmedia.prnewswire.com. If you have questions or would like to learn more, you can also drop us a line. We’re always happy to help! Christine Cube is an audience relations manager with PR Newswire and freelance writer. Follow @cpcube or check out her latest on Beyond Bylines.